A man has been jailed for life by Lewes Crown Court after he admitted killing a fellow worker at a McDonald's outlet. Grandmother Jackie Marshall, 57, was stabbed to death by the sacked employee during a children's party at the fast food restaurant in West Sussex in 2005. The Southbourne woman had worked at the Chichester outlet for 15 years. Shane Freer, of Batchmere, who has Asperger's Syndrome, denied murder but pleaded guilty to manslaughter on the grounds of diminished responsibility. The court heard that Freer carried out an "horrific, frenzied, ferocious and crazed" knife attack in front of lunchtime diners in April last year. Simon Russell-Flint QC, prosecuting, said Freer hit a young girl who had fired carrot pieces and wet napkin at him from a straw, a week before the stabbing. He was suspended and then dismissed on the grounds of gross misconduct, after which he blamed Mrs Marshall, who was his line manager. The court heard he was seen on CCTV visiting an ironmonger's where he bought a hunting knife and went back to the restaurant. 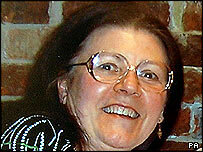 Mrs Marshall died in hospital after suffering six knife wounds. She was described as a "mother figure" who was deeply respected by her colleagues, friends and family - she would have celebrated her ruby wedding anniversary next year. Defending, Anthony Donne QC said: "It was an offence committed by a very disturbed young man. "He suffers from a very profound degree of autism in the shape of Asperger's. "In the simplest terms, it means he lives in his own world, unable to respond or cope with everyday things." Freer will be detained indefinitely at a secure mental unit. After the hearing, Mrs Marshall's husband Edward said his wife had "loved life to the full". "She was a really genuine person, she was special there's no doubt about that. "I still get terrible bouts of anger and I expect that'll carry on for a long time. "The way I intend to deal with it is to surround myself with all the good and happy things, the things that made us laugh." 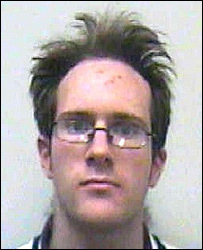 Det Ch Insp Russ Bagley said: "This was a particularly savage attack on a loveable lady who was popular with everyone. "Our thoughts are with Eddie and the rest of the family, who have been devastated by their loss."